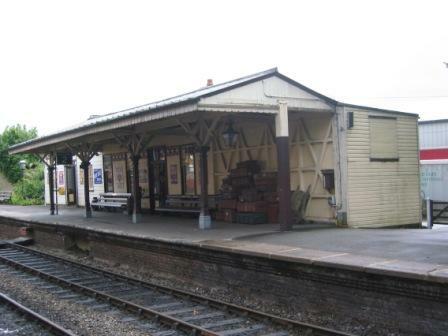 The old waiting room building on platform 2 used as the original Museum. 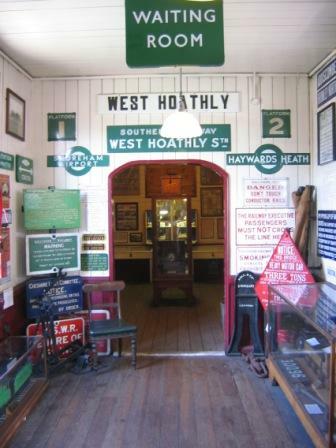 This building now houses the Bluebell Railway part of the new Museum display. Inside the old Museum looking north from about where the entrance door is now. 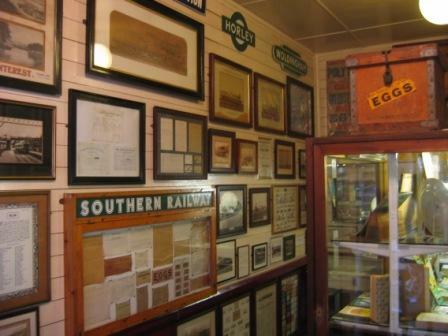 Looking south from the entrance door to where the booking office display is now situated. 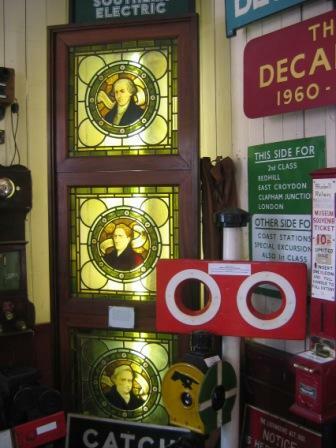 The window glass display can be seen in the new Museum. Part of the display on the chimney breast. 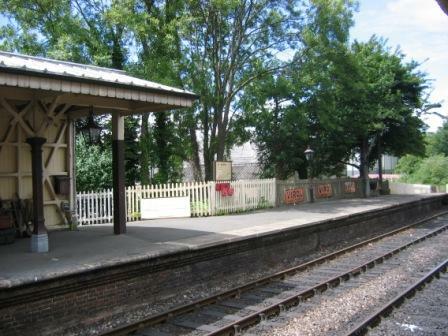 The north end of of the old Museum looking towards where the Museumstoomtram Hoorn – Medemblik Railway display is now situated. 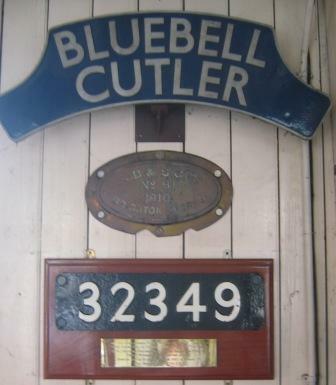 (This railway is twinned with the Bluebell Railway).